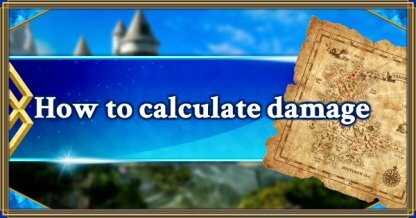 Here you will find damage calculation formula for FGO. Information on buff effects and special attacks is included. There are various factors that may influence damage in FGO besides servant affinity, such as Card Combination, Servant Attributes which are hidden in the game. Not to mention the impact of Craft Essences and Skill effects. 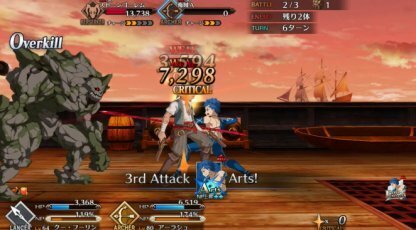 Knowing how to count an amount of damage correctly, you will start using servants' skills more efficiently. It will also help you do quests more easily. So, let's figure it out once and forever. 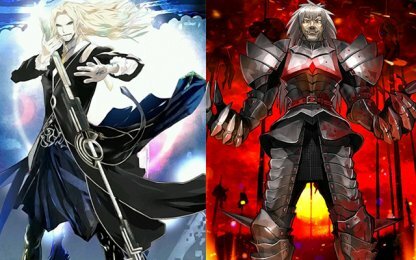 Servants in FGO have a certain class (Saber, Archer and etc.) which determines affinity within relation to each other. 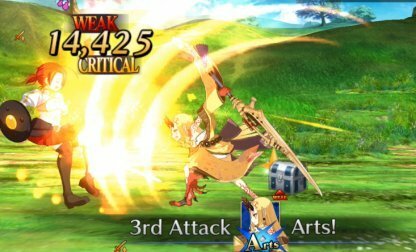 In general, if a Servant is effective against a certain class he will do x2 damage to it and 0.5 times if not effective. Same implies to received damage. As an exception, Berserker deals 1.5 damage to any class, except Shielder, but also takes double damage. Another exception is Alter Ego. This class deals 1.5 damage to Rider, Caster and Assassin and 0.5 to Saber, Archer, Lancer. ▲Berserker do 1.5 times damage to all classes except Shielder, but at the same time receives double damage. 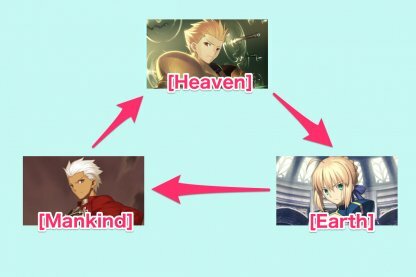 If you can remind the class affinity of characters in Fate Stay Night, it should be easy for you to remember all this information. If not, you can always check it in the menu during a battle. 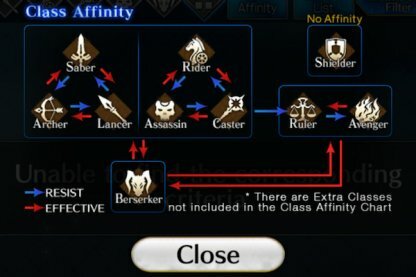 There is an ATK modifier which varies by a servant's class. This information is hidden in the game. However, there is a damage modifier which varies by a servant's class. For that reason, the ATK information that written in the game might be slightly different from the actual amount of damage. 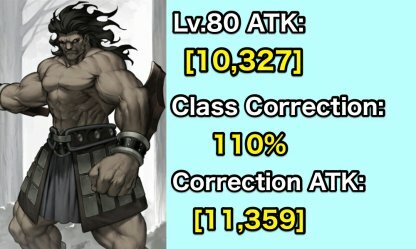 ▲Berserker's ATK damage modifier equals 1.1, which means he will actually deal x1.1 times more damage of the presented ATK. 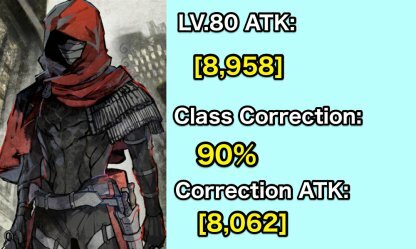 ▲Assassin's ATK damage modifier is 0.9, which means he will deal a bit less damage than his ATK number shows. 「Attr」in FGO is Servant Attribute information which is hidden from the game. The Attr relation reminds a triangle, as a servant does 1.1 to an enemy he/she is strong against, and 0.9 to those the servant is weak to. [Star] and [Beast] are not included into that Attr triangle. They both deal 1.1 times damage to each other and there are no Attrs they are weak to. ・A lot of them brought meaningful achievements for Humanity. ▲Same name, different Attr! For example, Vlad (Berserker) who is drawn as a Vampire has「Earth」Attr, but pictured as a historical hero Vlad (Lancer) has「Mankind」. Attr is the reason that on some Quests the same servant may cause less damage comparing with other Quests. Although there is not way to check it in the game, but you can somewhat come up with a logical option checking the information before a Quest. Skills of the same image groups are summed, others are multiplied. Servan Skills and Stats enhanced by CE are Roughly divided into 4「image」groups. 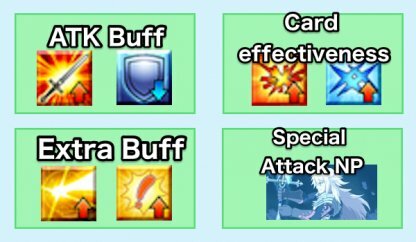 If they are belongs to the same group ATK buff is going to be summed, otherwise calculated by multiplying. Combine skills which background image is different, thus the damage will be multiplied instead of being summed. Skill mix can help you significantly raise your damage. As some enemies have Resistance, things are a bit more complicated in reality. But think about the overall. This way you should already be able to form a Party and choose right CEs to do a huge damage. Whenever you see「ATK UP」that means a Skill or a CE increase your attack. 「DEF UP」label works the same way. For instance,「Enemy DEF 20% DOWN」means「Ally ATK 20% UP」in other words. Whenever you see「Card effectiveness UP」it means that a skill or a CE is going to strengthen the effect of cards of the same type (Buster, Quick and etc.). The effects such as「Madness Enhancement」「Territory Creation」「Riding Skill」which are determined by a Servant Class are also calculated here, in this group. ・The effect depends on a card type. ・The effect does not stuck if cards are of different type. Mainly they increase Critical damage or damage caused by the NP. 「Special Attack」to specific enemies is also included into this group. 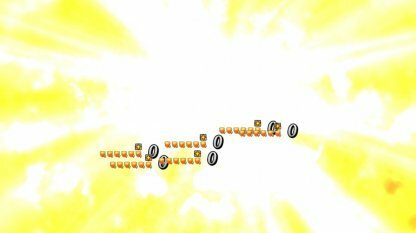 Skills and Craft Essences labeled「Special Attack to ~」plus 「attack bonus」effect that can be used during Time-Limited Events are all calculated here. However, NP Special Attack refers to the next group! 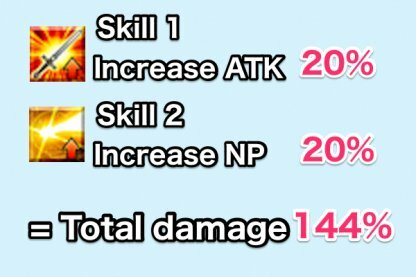 Special Attacks caused by the NP are different from Skill or CE Special Attacks. There are almost no other effects that are calculated in this category. ※To simplify things some numbers presented here might not be exactly as in the game, so that you could get the main idea from the images. 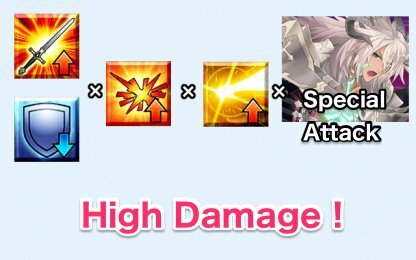 When 2 ATK Buff skills are used before the NP, their effect will be summed as they belong to the same image group. So, it is going to be 1+0.2+0.2=1.4. When ATK buff and NP buff are used, their effect will be multiplied because they are in different image groups. In this case the formula is going to be 1.2*1.2=1.44. In order to deal a bunch of damage you should combine various effects which come from different image groups. Especially if we are talking about the effects of Skills and Craft Essences. DEF UP Skills reduce received damage by %. For example, if you have used 20% DEF UP buff you take 20% less damage. 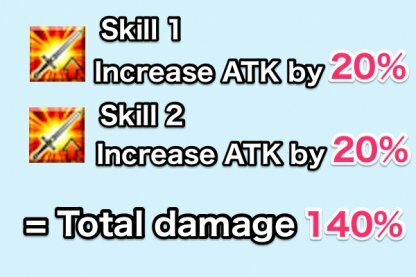 As it belongs to the same group as「ATK UP・DOWN」the damage calculation happens the same way. If an enemy with 30％ ATK UP attacks you while you have 20% DEF UP, the amount of damage you take equals 110%, because 30%-20% = 10%. Stack multiple DEF UP and ATK DOWN effects and reduce enemy attack by 100％. It will especially help you on high difficulty Quests. ▲Using this technic you can even avoid the Enemy NP! It's one of the major reasons why「Mash」and「Iron-Willed Training」or「Holy Shroud of Magdalene」Craft Essences can be so useful. By combining these effects enemy attacks will be close to 0. 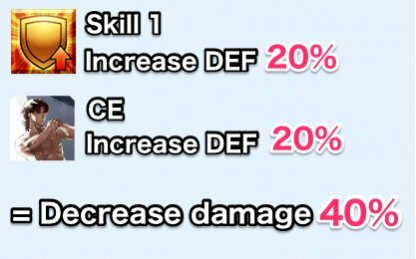 If both CE and Skill have 「20% DEF UP」Buff, the effect is going to be multiplied and as a result you will get a 40% damage reduction. Tap to FGO Beginner Guide!